Many soap makers use botanical additives to add visual interest or exfoliating properties to their soap. Lavender buds and rose petals sprinkled on top of a bar add texture and beauty. Ground walnut shells or orange peels mixed throughout a soap can add exfoliation. My additive of choice lately has been ground juniper berries. Juniper berries are the tiny little pine cone of the juniper bush. They’re used to flavor gin and meat and their piney scent makes them a wonderful addition to potpourri. When ground up in soap, they act is a gentle exfoliant. 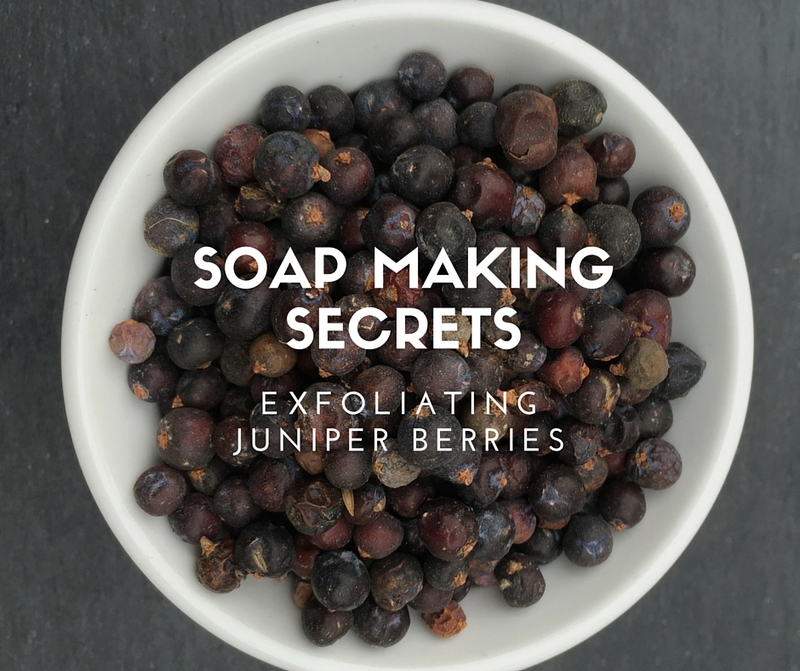 I use ground juniper berries in my best selling Rosemary Mint & Juniper soap. I buy the juniper berries whole and use a spice grinder to grind them into a course powder. I add a couple of tablespoons of the powder to the soap batter just before I pour it into the mold. The result is a lovely speckled soap that’s wonderful for smoothing out rough patches on feet, knees and elbows. The rosemary and peppermint essential oils that scent this soap leave your skin feeling cool and refreshed. Need a little extra exfoliation? This soap is now available in the Emmet Street Creations store on Etsy. They sell out quickly so get yours today! So far this year, I’ve revealed several soap making secrets. I’ve told you about lye and I’ve explained the different properties of common oils like coconut and olive oil. Now I’d like to explain the secret behind how lye, water and oils become soap. Be ready for your mind to be blown. The secret is…stirring. A lot of stirring. OK, maybe that isn’t exactly mind-blowing but without properly mixing the ingredients, a batch of soap is doomed. Once the oils are melted and the lye water is cooled, the two are are mixed together and stirred until the batter begins to emulsify and thicken. Depending on the recipe, it can take an hour (or several) of stirring for the soap to fully emulsify. For millennia, soap makers sported arm muscles like Popeye’s after a spinach binge thanks to hours and hours of stirring soap batter. When the stick blender became a common household product, soap makers quickly figured out how to use the technology to make their jobs easier. 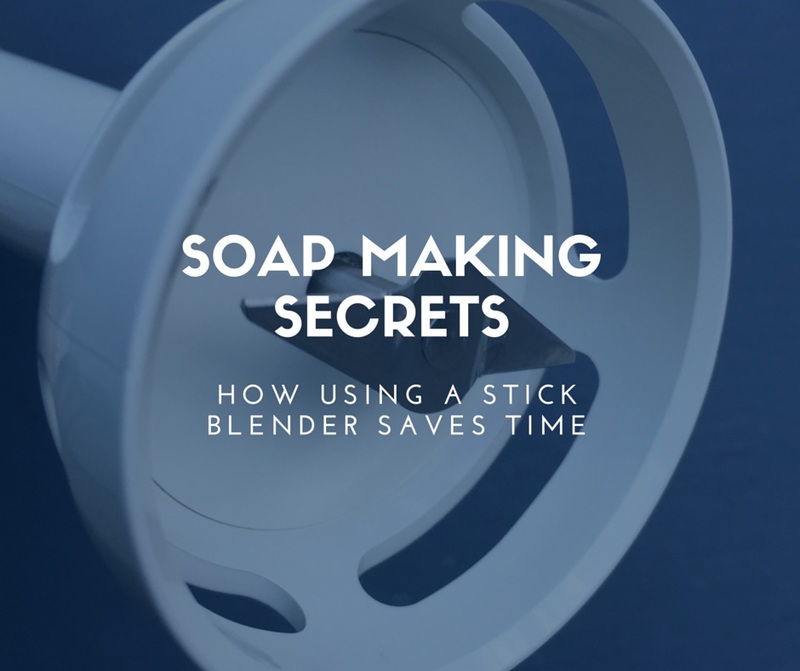 A few short bursts of mixing with a stick blender can bring soap batter to the desired consistency within minutes, not hours. The extra time saved means we can make more soap! There are some precautions that I take every time I make a batch of soap with my stick blender. I always wear rubber gloves, a long-sleeved shirt, and goggles to protect myself from any splatter that might happen. When I insert the stick blender into the batter, I tap it several times on the bottom of the bowl. This helps any air bubbles trapped under the blender to escape. 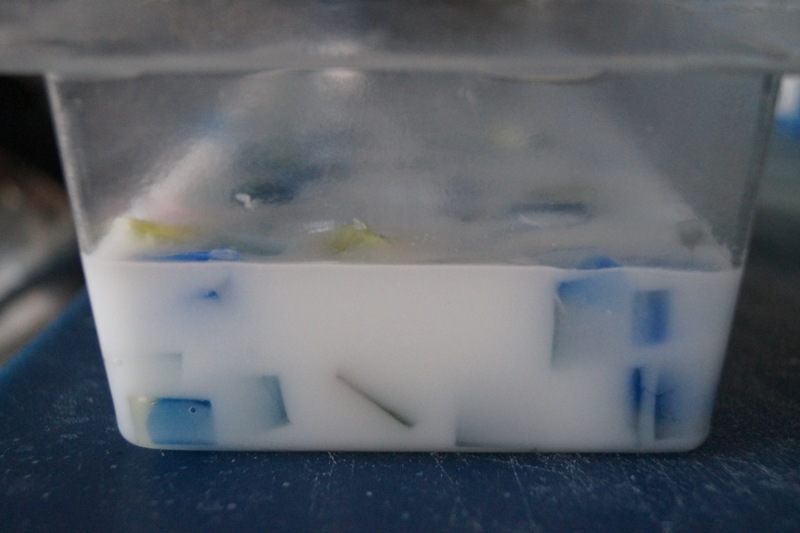 Air bubbles can show up in a finished bar of soap as tiny little holes or spots and aesthetically ruin a design. I always unplug my blender before attempting to clean the soap out of it. I really like all of my fingers. I’ve known them my whole life and we’ve become quite close. I would hate to lose any of them because I accidentally hit the power button while wiping soap batter off of the blade. I credit my aunt for getting me started with soap making. During a visit several years ago, she gave me a stick blender that she no longer used. I was researching how to make soap at the time and I looked at her gift as a sign that I should stop dreaming about making soap and start doing it. If you are interested in learning more about the soap making process, you can catch up on past installments of soap making secrets here. 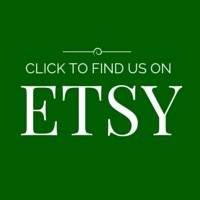 Once you’re caught up, be sure to stop by the Emmet Street Creations shop on Etsy to try out some of the soaps you read about. It’s been another busy week here on Emmet Street. 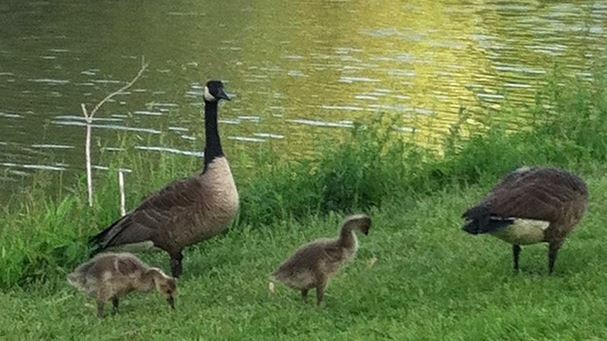 Christine decided to indulge another hobby of hers, birding, and take in the migration that is happening around the Jersey Shore this time of year. Hopefully, the species flying through got their GTL in before Christine got there so she won’t be disappointed! We also got confirmation that Emmet Street Creations will be a vendor at The Flea at the Evaporator Works in Hudson, Ohio on May 30. We’ll be there (51 South Main Street) slinging soap from 9 AM to 4 PM. So make plans to come by and see us! Lilac soap – My lilac tree is in full bloom right now. The scent is enchanting. Once the blooms are gone, this soap from Sciarretta Farms bring back fond garden memories. Lavender soap – I love, love, love lavender. 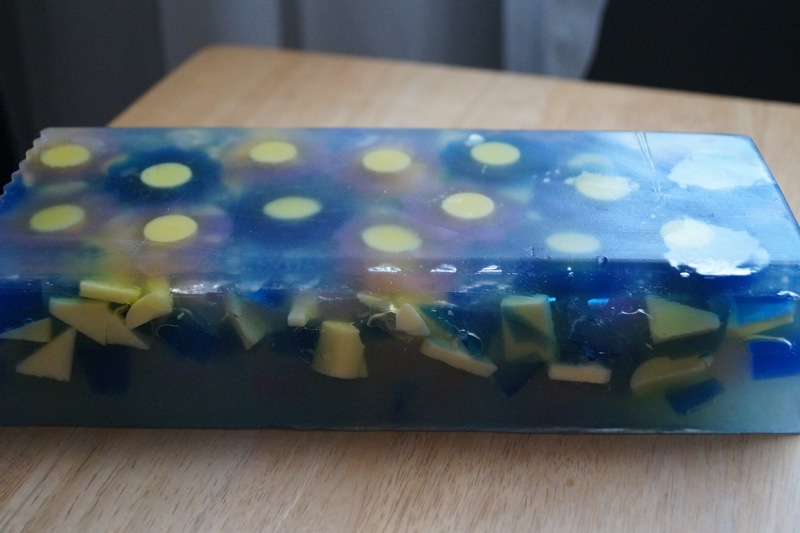 I love the packaging on this melt and pour soap made by Sarah Johnson. Violet soap – Wild violets are blooming all over my yard right now. They are so sweet to look at. This soap from i am handmade is, too. Kermit The Frog’s twin found in Costa Rica – And I can’t handle the cute. International Biscuit Festival, y’all! – Next year, I am hitting the road with a stick of butter and a jar of blueberry jam! Does the internet know everything? – Christine is trying one of its tips in her garden. Think it will work? Memorial Day is next Monday! Since it’s the unofficial start of summer, you’re probably going to a cookout. Looking for some easy cookout recipe ideas? How about a couple of my favorite heart-healthy cookout recipes: five bean salad and vegan black bean burgers? I have a confession to make. Sometimes, I make really ugly soap. I don’t do it intentionally, believe me. I have an idea in my head and it seems like a good idea until I start to pour the soap. I want to look away but I can’t. I was going for a spring inspired honeysuckle scented confetti soap with cute flowers on the top. My original plan was to use a white, shea butter base as a background, which would have really made the colors pop. At the last minute, I diverted from the plan when a pretty light blue mica caught my eye. I thought that mica would look great in clear glycerin. Not only did it not look at all like I thought it would, I had a big problem with air bubbles and the pink flowers all but disappeared. It looked so much better in my head. 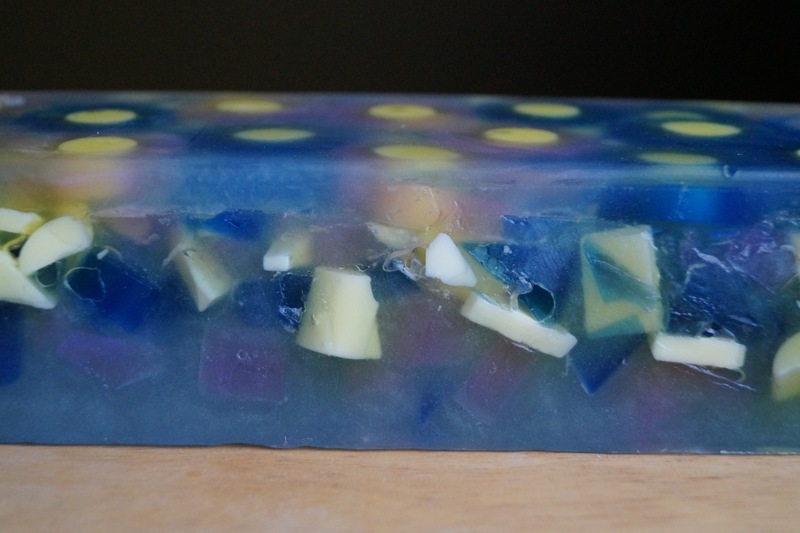 Feeling dejected, I set this soap aside for a few weeks while I focused on other creations. But, the failed batch didn’t leave my mind; I needed to salvage it somehow. The loaf was four pounds of melt and pour soap and I didn’t want it to go to waste. So, when I had a little time in my schedule, I broke out the ugly soap and formed a plan. I decided to chop it into tiny pieces and embed those pieces into a new loaf, this time using the white shea butter base I had originally planned to use. I filled the bottom of my loaf mold with the cut up pieces and filled the loaf half way up with the shea butter base. After that layer formed a thick skin, I poured the other half of the white base and added a tiny bit of left over pink glycerin soap to give the top a slight blush. I used a spoon to move the top layer around as the soap cooled to get the texture. I’m pretty happy with the new design and the soaps smell lovely. This is what I meant to do all along. Yeah, that’s right. In case you were wondering, I did try my original floral design again. The second attempt was more successful (it really is true that you learn from your mistakes! ), but that’s a blog post for another day. This pretty shea butter and glycerin soap is now available in the Emmet Street Creations Etsy store. 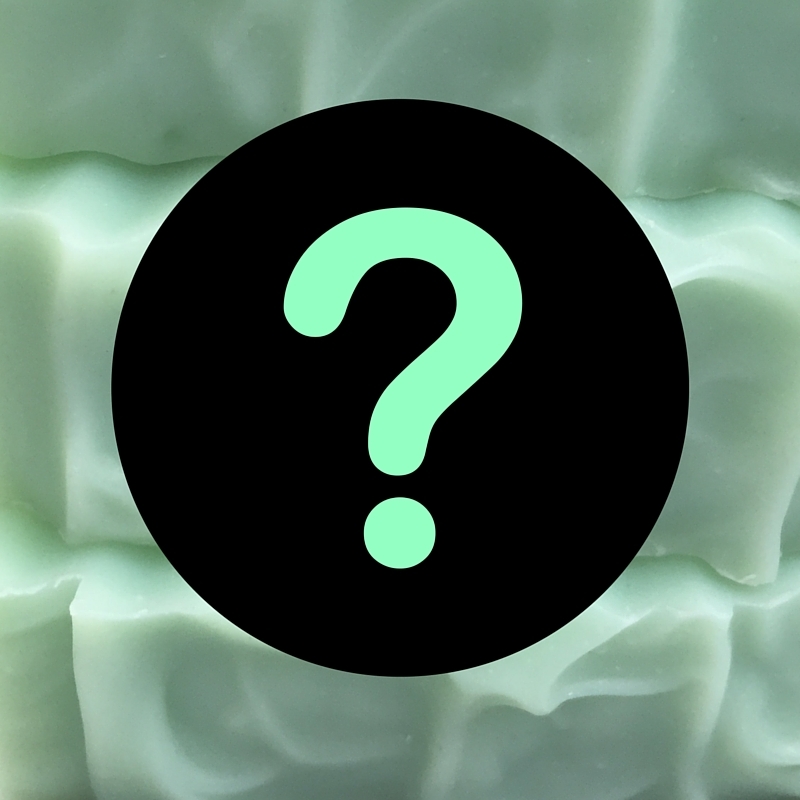 Don’t make the mistake of waiting to add this soap to your collection… this product is a limited edition! The day I set aside to work on my first soaps felt like Christmas. I had my new supplies lined up on the kitchen with the soap base wrapped up tight—the only thing it was missing was a big, red bow on top. I took that hunk of soap, unwrapped it and cut it into pieces to melt down. Image credit: Monarch Butterfly, El Rosario Sanctuary, by Luna sin estrellas, on Flickr CC by 2.0. For five hours, I was transported to a different universe. No, The Doctor did not come to take me away in the Tardis—I wasn’t quite that lucky. I was immersed in watching the soap melt, stirring in the colorant and scent, and pouring the soap into different molds. I didn’t think about my worries once. Not once. I was happy. I was content. I was relaxed and enjoying myself. When I finally emerged from my kitchen, I was hooked. I needed to feel that feeling again and I needed to feel it soon. The next day, I went back to the craft store, bought more supplies and started all over again. As I was wrapping the soaps I made, I thought it would be fun to label them as if they were soaps I had bought in a store. I wanted to fool everyone for a while, then pop the surprise that those were soaps that I had made. I had to think of a fake company name for my homemade soaps. It didn’t take me long, really. After on a few minutes, Emmet Street popped into my head. Emmet Street is the street I grew up on in a tiny, little town in north central Ohio. I haven’t lived there in 20 years but when I think of home, I think of the house on Emmet Street—not the house I currently occupy. Emmet Street was an idyllic place to grow up. In the summer, the grown-ups would gather on our front porch and shoot the breeze as the kids ran around the yard trapping fireflies in jars. I felt relaxed and happy and loved on Emmet Street. I didn’t have a care in the world most days. I had the same carefree feeling as I was making those soaps. I knew I wanted to honor my street by using it in my company name. I toyed with some ideas: Emmet Street Soaps? Nah, that would restrict me to soap and nothing else. What if I wanted to branch out? Emmet Street Sundries? Emmet Street Things ‘n’ Stuff? Emmet Street Creations? Yes! That was what I was looking for. I printed up fancy labels and, come Christmas, gleefully handed out all of my presents. They were a hit. Everyone was so excited to receive the colorful little gems and impressed to learn that I had spent the time to make them.